Scaling with polishing is recommended for all patients none less than once a year. Even if we pay attention to oral hygiene we can’t handle precipitate and calculus by ourselves. All of it causes unsightly appearance and are reservoir for bacteria, which causes mouth diseases. – it’s the process of precipitate (nicotine, coffee, tea) removal with using water, air and very small pieces of soda. After that, teeth are smooth and brighter. Intervention does not damage enamel. Scaling is an ultrasonic calculus removal. Its treatment is painless, safe, stops bacteria from spread, teeth are smooth and polished. 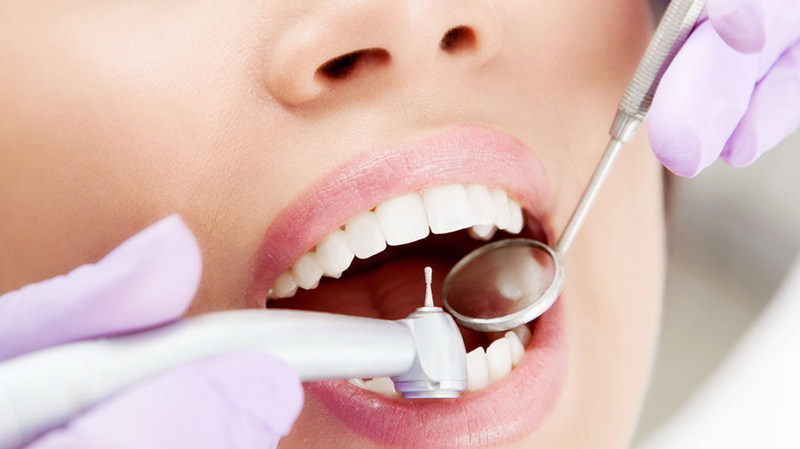 We remove calculus and plaque from teeth with ultrasonic tools. After that enamel takes microelements (like calcium or fluorine from toothpaste) more effectively.